The term “lemon” is most commonly used to describe a vehicle that is problematic. But real lemons are anything but problematic. Lemons are the symbol of the Mediterranean warmth and sun. Nevertheless, the lemon is believed to have Asian origins and comes precisely from the Far East (India and China) were it was found growing wild. However, the etymological path of the word lemon suggests a Middle Eastern origin. One of the earliest occurrences of “lemon” is found in a Middle English customs document of 1420–1421, which draws from the Old French limon, thence the Italian limone, from the Arabic laymun or limun, from the Persians limun. The first reference to the lemon in Egypt is in the chronicles of the Persian poet and traveler Nasir-i-Khusraw (1003-1061? ), who left a valuable account of life in Egypt under the Fatamid caliph al-Mustansir (1035-1094). A French lemon takes its place as the most delicious of its kind in the world. The very first uses for the lemon in the Mediterranean were as an ornamental plant in early Islamic gardens. However, tracking the progress of the lemon tree from its origin in Assam and northern Burma to China, across Persia and the Arab world to the Mediterranean, is difficult because of the lemon’s adaptability to hybridization. The first clear descriptions of the usage of lemon for therapeutic purposes date back to the works of Theophrastus, who is considered the founder of phyto-therapy. But, even though the exact origin of the lemon has remained a mystery the one thing that we can all agree on is the natural health benefits of this little yellow superstar. The body is well cleansed if lemon-juice mixed with cold water and honey is taken on an empty stomach early in the morning. Though lemon is acidic to the taste, it leaves off alkaline residues in the body. This is why it is useful in all symptoms of acidosis. Lemons are a unique fruit because the juice of a lemon is extremely acidic in nature. Lemons are one of the only foods on the planet that contain more negatively charged ions than positively charged ions. In 1966 at a hospital in Jerusalem, doctors performed a series of tests on 38 infants between two and twelve months old. All suffered to about the same degree from respiratory problems. They were divided into two groups of nineteen, one kept as a control group in a ward without any ion charge and the other where a negative ion generator was in use. The researchers reported that negative ions without any other treatment – that is, no drugs – seemed to cure attacks of asthma and bronchitis more quickly than drugs, antibiotics included. They also observed that there were none of the ‘adverse side effects’ frequently found when treating such children with drugs. Generally speaking, positive ions are harmful to the human body, while negative ions are beneficial. Ever heard the term “Opposites Attract” between two people? In case you haven’t, it refers to a positive electrical charge attracting a negative charge. So, the fact of the matter is, we all have electrical voltage running through our cell membranes in our bodies via nerve impulses. Negative ions are found mostly in mountain forests, waterfalls and beaches. All these places have an invigorating effect on people when encountered. They are viewed as nature’s battery chargers. This is why the lemon is truly remarkable for having this awesome ability to internally revitalize the human body when consumed. In order to ensure our health and well being, it is crucial that we surround ourselves with a sufficient amount of negative ions. The high electrolyte and potassium content found in lemons replenishes the body and helps maintain voltage for proper cell function. The cultivation of the lemon in Asia goes back at least two and a half millennia – thus, this plant has a long history of use by human society as a food. Who doesn’t think of summer in rural America without picturing a pitcher of lemonade loaded with ice cubes or another pitcher of ice tea with ice cubes and slices of lemon? Lemons are ubiquitous and used often throughout the United States, and yet it seems they are rarely given much thought. The earliest written evidence of the all-American summer drink, lemonade actually comes from Egypt. Egyptians of the fourteenth century knew of the lemon. Most peasants drank a date-and-honey wine. Along the Egyptian Mediterranean coast, people drank kashkab, a drink made of fermented barley and mint, rue, black pepper, and citron leaf. Citrus fruits have always been famous in human nutrition, diet and folklore medicine. Ancient Egyptians believed that lemon juice offered a protection against various poisons and infections. Recent scientific studies are proving this to be true. Moreover, the Egyptians consumed it on a daily basis, even if there were no signs of illness or infections. All citrus trees have qualities in common. Their energy and fragrance is always cleansing, and the lemon is no exception. Their flowers are most abundant in the spring but only about 2% of all citrus flowers actually produce fruit. The flowers though are usually so abundant that even this small percentage is enough to ensure a good crop. Citrus trees are also long lived. They can last as many as 100 years if cared for properly, and the lemon tree again is no exception. 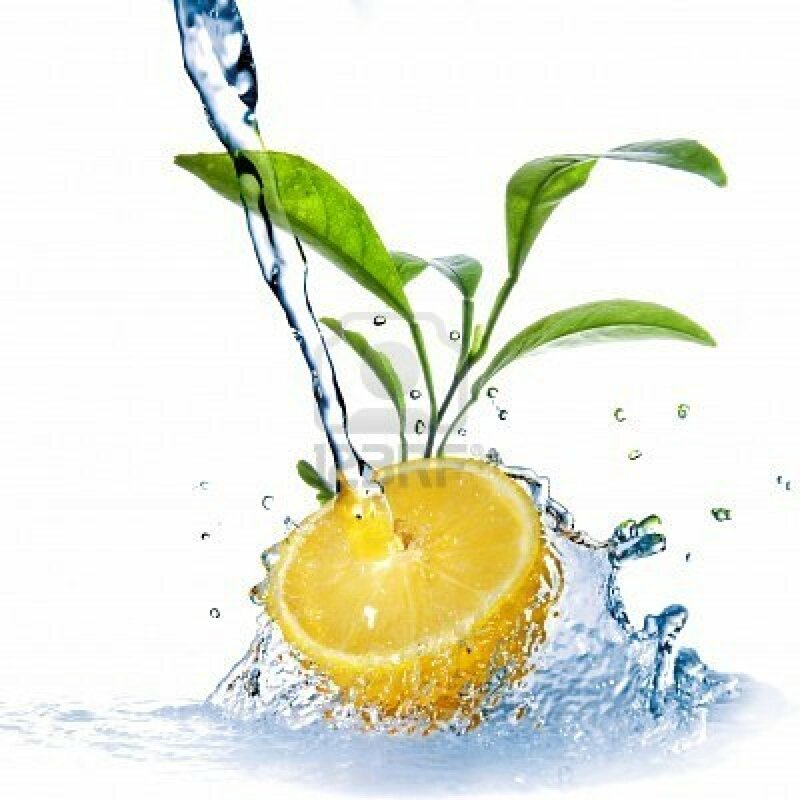 Like turning water into wine, the lemon with its citric acid quickly changes an acid constitution into an alkaline one. The lemon tree fruit is very acidic, and its fragrance is cleansing. This tree’s energies balance the aura and help to keep it cleansed of negative emotional and astral influences. When it speaks to us, it is usually in regards to something that needs to be cleared up around us. Are we involved in negative activities or with people who are negative? Are we allowing others’ negativities to affect us? It is believed past spiritualist mediums often used lemon to cleanse the energy of a room in which seances were performed. The fragrance helped keep out unwanted spirits and helped close the doors to the spirit world more effectively when the seance was completed. It is said sometimes that the lemon tree speaks to us when we are not being careful about our own work in the spirit world. It is also believed that the lemon tree is a catalyst for clarity of thought, and its essence can make us more sensitive to using color therapy – in any of its forms – as a modality of healing. Yellow helps to release a chemical in the brain called Serotonin, essential for causing a happy mood. Studies have proven that yellow color enhances concentration and gives the brain and nervous system a “ wake-up call”. It stimulates love and friendship and it is strengthening to the entire meridian system of the body. The lemon always “speaks” to us of cleansing some aspects of our life. It reminds us that spirit is near, but to be truly open to them requires that our energy be cleaned and cleared. Lemons are also touted to be useful remedies for arthritis, gout, constipation, hoarseness, cramps, asthma, nervousness, insomnia, heart palpitations; they are used as a liver cleanser, fever reducer, to strengthen the immune system, and even to stop a nosebleed. The leaves of the lemon plant have medicinal properties as well. Hellenics were used to growing lemon trees near olive trees to preserve them from parasitic attacks. Among the Romans it seems that Emperor Nero was a regular consumer of this fruit, obsessed as he was with the danger of a possible poisoning. In the West the lemon had become more widespread around the year 1000 thanks to Arabs who brought it to Sicily. The first description of the lemon, introduced from India two centuries before, appeared in fact in Arab writings in the twelfth century. In Europe the first real cultivation of lemons was planted in Genoa in the middle of the fifteenth Century. In 1494 lemons appeared in the Azores, while in America lemon and other citrus trees were brought by the Spanish. In 1747, a naval doctor named James Lind demonstrated that scurvy could be cured with fresh lemons. Lemon love was even enacted into law: All ships in the British navy were required to provide a lemon juice ration for their seamen. These are the many health benefits of lemons that have been known for centuries. The two biggest are lemons’ strong antibacterial, antiviral, and immune-boosting powers and their use as a weight loss aid because lemon juice is a digestive aid and liver cleanser. Lemons contain many substances–notably citric acid, calcium, magnesium, vitamin C, bioflavonoids, pectin, and limonene–that promote immunity and fight infection. But lemons are not only used for their medicinal qualities and health benefits. The lemon has long been a symbol of longevity, purification, love, and friendship. Throughout history the lemon and the lemon tree have been used in art and have at times, when only the wealthy could afford them, been a status symbol. Aromatherapists use the tie-in with cleanliness to help people purge feelings of imperfection and impurity and to build up their confidence. Lemon essential oil is a major ingredient in commercial beverages, foods, and pharmaceuticals, although the cheaper lemongrass or even synthetic citral is often added to stretch it. It also is popular for its fresh aroma in cologne and many cosmetics, especially cleansing creams and lotions. In Japan the essential oil is diffused through the air systems of offices and factories because it increases concentration and the ability to memorize and noticeably reduces mistakes. Research confirms that the aroma of lemon is relaxing to brain waves, which improves concentration. It was the most effective essential oil tested in reducing computer errors; those working in a lemon-scented room made less than half the mistakes of those working in unscented rooms. Because it seems to stimulate the mind while calming emotions, sniffing lemon can be helpful when making decisions. Some 2009 research proved that smelling citrus dramatically increases our charitable nature. The study found a dramatic improvement in ethical behavior with just a few spritzes of citrus-scented Windex. Like the branches and leaves of a tree, no one person stands alone. Manifestly linked with all who have gone before and all who will come after, joined to those who may seem remote, indeed, humanity itself branches and spreads, never losing the essential rootedness that connects us all. Trees themselves serve as a wonderful symbol for this human connection. Lemon Trees perhaps serve as a better example. The seed planted today bears fruit not for me, perhaps, but for my children, and theirs. So maybe, when life gives you a lemon, squeeze, mix it with six ounces of distilled water and drink daily! This entry was posted in Uncategorized and tagged All American, ancient egypt, Arab, California Lemons, Celebrity Health, China, Citrus, Cleansing, Detox, education, egypt, environment, happiness, healing, health, Hellenics, human, humanity, india, Ion, Lemon, Lemon Appeal, Lemon Water, Lemonade, life, make lemonade, medicine, Mediterranean, Mediterranean Sea, muslim, nature, Negative Ions, philosophy, Revitalizing, Science, Skin, The Lemon Tree, United States, wealth, wellness, When Life hands you lemons. Bookmark the permalink. love the theme/design), I don’t have time to look over it all at the moment but I have saved it and also added in your RSS feeds, so when I have time I will be back to read much more, Please do keep up the excellent work. I recognize you pointing this out given that I’ve in no way seen like that way. For that purpose I might possibly mention a number of your points by myself blog; I really hope you are Ok with this. Do you suppose perhaps within the future we will give good results collectively by some means involving our internet websites? Let me know what you suppose.